Ironically, small companies are often the ones most vulnerable to the consequences of both data loss and legal action. 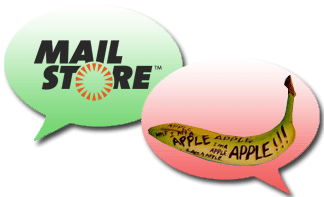 MailStore provides a perfect, unmodified copy of all messages and headers so you’re always in possession of what could end up being evidence, just in case it’s ever needed. The fast search is also just an extremely useful tool for saving the time it takes employees to perform searches for emails. Even if a particular business isn’t actually subject to any specific regulations, it may still want to implement an email retention policy to protect against general legal risk or customer complaints, and to take advantage of the numerous operational benefits offered by the centralising and complete archiving of all email. Compliance with legal requirements is often just a secondary benefit. Generally the technical benefits, the protection from data loss, and the increase in productivity are the key focus. MailStore Server also reduces IT costs and provides a fast ROI (return on investment). Mail servers often have a so-called archiving feature that copies emails into a special mailbox. However, this is not to be confused with a fully developed email archiving solution and in most cases can’t meet important criteria such as integrity and tamper-proof security. It does not provide benefits such as reducing the workload of the mail server, increasing productivity through fast search access, or compliance with legal requirements. Many mail server providers such as MDaemon officially recommend MailStore Server to their customers. There is often confusion between email archiving and backup. They do not server the same purpose and there are often benefits to using the two together. A classic backup application such as BackupAssist designed as a short-term insurance policy to facilitate disaster recovery, while an archive is designed to provide ongoing rapid access to decades of business information. Archived records can be placed outside the traditional backup cycle for a long period of time, while backup operations protect active data that’s changing on a frequent basis. MailStore can schedule output a backup of the archive and configuration settings, suitable for incremental backup using a product like BackupAssist. When creating PST archives manually there is always the possibility that some email won’t ever make it to your archive, or when it does, it could have been tampered with. Even when it’s in the archive it isn’t secure and individual PST archives will need to be backed up individually from wherever they reside at the time. MailStore automates the process of archival, centralising (and de-duplicating) email for easy retrieval and fast searching. MailStore Server reduces IT costs, increases employee productivity, and shields against financial risks stemming from data loss or legal conflicts. With the money saved, the low acquisition cost of the email archiving solution can be expected to pay for itself in no time. MailStore Server is inexpensive and can be set up very fast. Every day without email archiving costs money to the company, wastes IT resources, and involves the risk of data loss and legal conflicts. MailStore Server will be able to archive the current email system as well as the new one. From a technical standpoint there is no reason to wait. On the contrary: Many customers use MailStore Server for precisely these kinds of migration scenarios. Old emails are simply archived before the system change and therefore do not need to be migrated to the new mail server. Many DMS providers have integrated email archiving into their solutions as an additional feature. But there is a fundamental problem with this approach: Unlike scanned pages or OCE documents, email is a transient means of communication that is specially composed of MIME entities. An archiving solution that ignores this fact and treats emails as documents will quickly reach its limits. Many DMS providers have recognized this and have integrated specialized email archiving solutions from third-party suppliers (OEM) into their solutions. There is a long list of pros and specific benefits. However, one thing stands out in particular: As a company, MailStore is exclusively specialized in email archiving and invests all of its energy in the ongoing improvement and upgrading of its products. For most other companies, email archiving is just a small part of a large product portfolio. There’s a free 30-day trial of MailStore available for download here.